CONTEXT, CONTEXT, CONTEXT. What are the exposures - the dose, frequency, route, etc.? How solid and pertinent is the data? You may get a number or a color out of a tool, but what does it really mean? 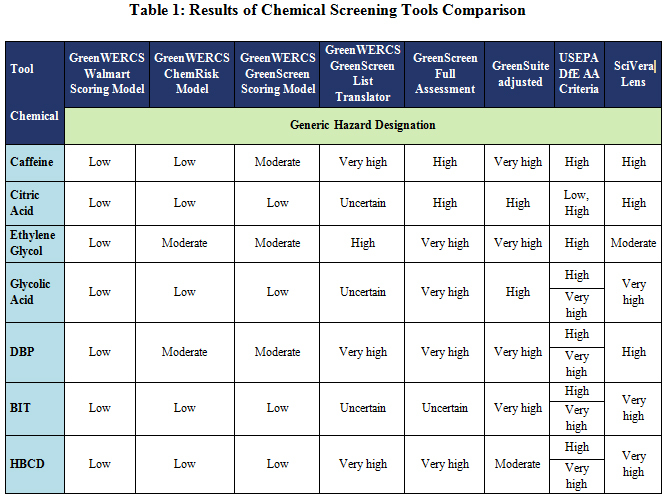 What kinds of decisions should you make on the basis of these screening tools? It's way too easy to generate blacklists with mindless algorithms.